Year 1 Matilda: Space Day! We had a brilliant and busy day in Year One today! 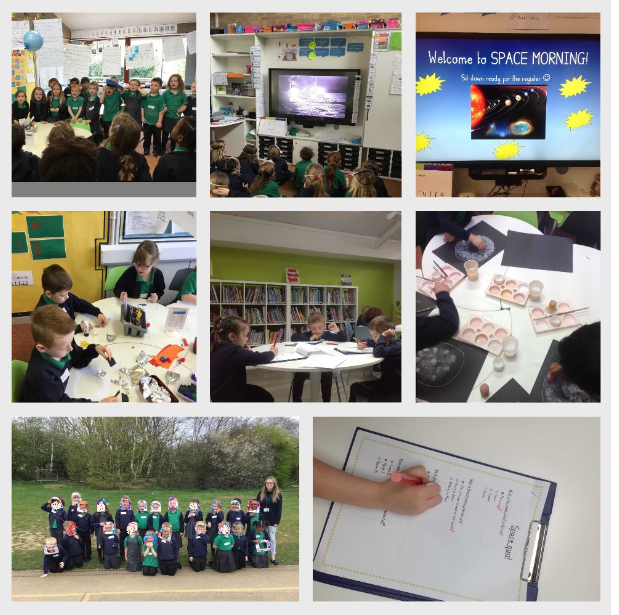 We have been learning about Space this term and today was a great chance to put all our knowledge to the test with all our Space themed activities. We did moon painting, we made astronaut helmets, we launched a balloon rocket, we did a ‘Space quiz’, we watched the 1969 moon landing and then we went outside and had our own moon landing on the playground and we even made some moon craters (and got covered in flour at the same time)! We have loved learning about Space and can’t wait to find out some more facts next week!